Briggs Cunningham (blue shirt), and several race fans, looking over the burned-out engine compartment of Lotus Mk. XI he was to take possession of after the race. Colin Chapman is on his immediate right. 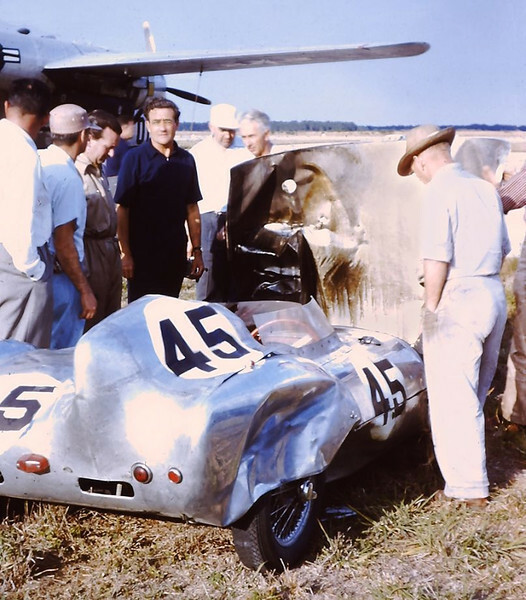 (Gene Bussian/PCA photo) Source: http://www.sportscardigest.com/1956-sebring-12-hours-grand-prix-race-profile/5/.